Our Quickship Modern Boat Shaped Conference Tables are stylish, durable and are there for you when you need a new conference table quickly! Silver metal base echoes mid-century designs. 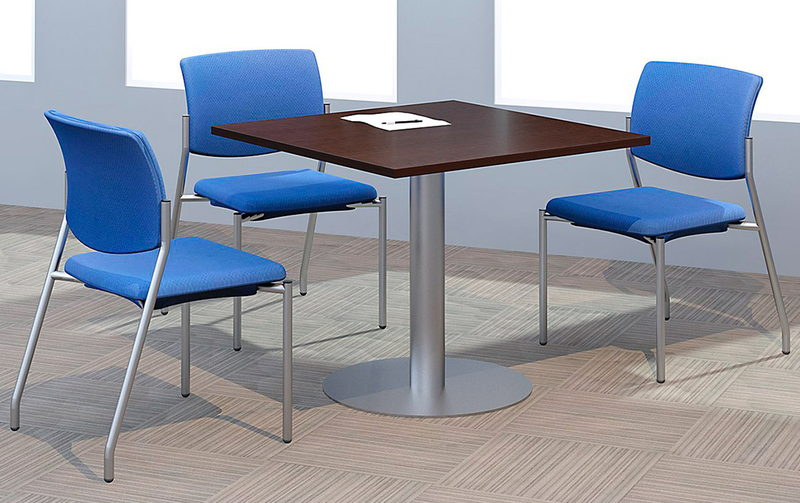 Tables come in three sizes and in three appealing laminate colors. 6' Modern Boat-Shaped Table sold above. Other sizes sold below. 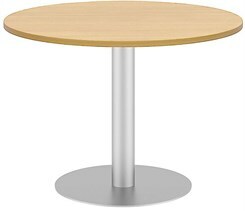 * 1" thick table top in a durable, thermofused laminate. 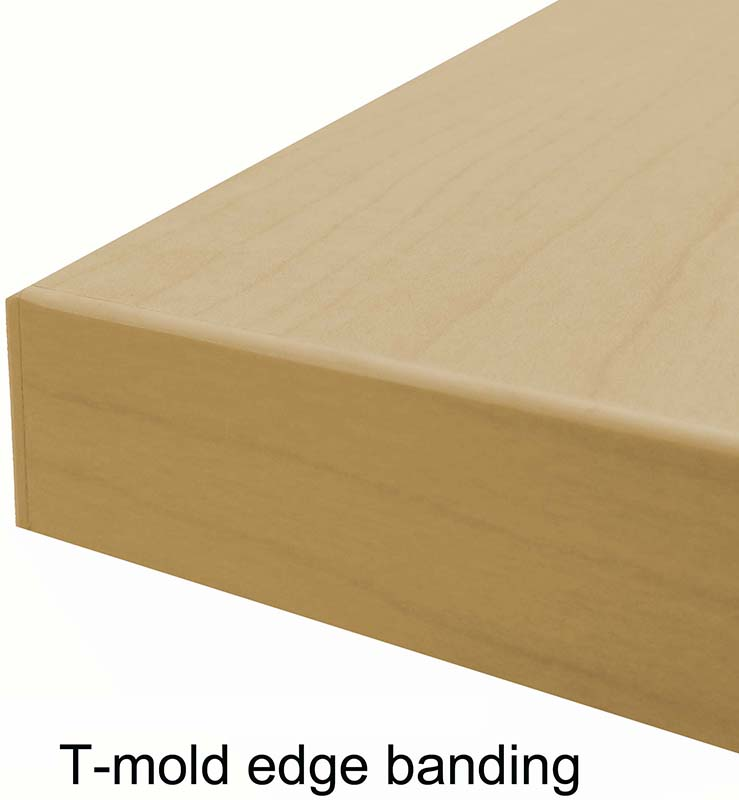 * Matching edge banding around table top. * Sturdy, silver base with leveling glides. * Pre-installed 2" grommets for wire management. 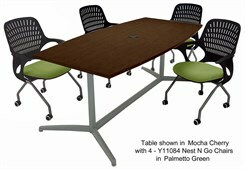 6' table includes one, 8' and 10' include two. * Meets ANSI/BIFMA standards for safety and performance. 6' table seats 4 people comfortably, but can fit up to 6 people maximum. One-piece table top. Measures 72"L x 36"W x 28-5/8"H. Ships unassembled in four boxes. Shipping weight 126 lbs. PRICE INCLUDES SHIPPING! Please allow 3-7 working days for delivery. 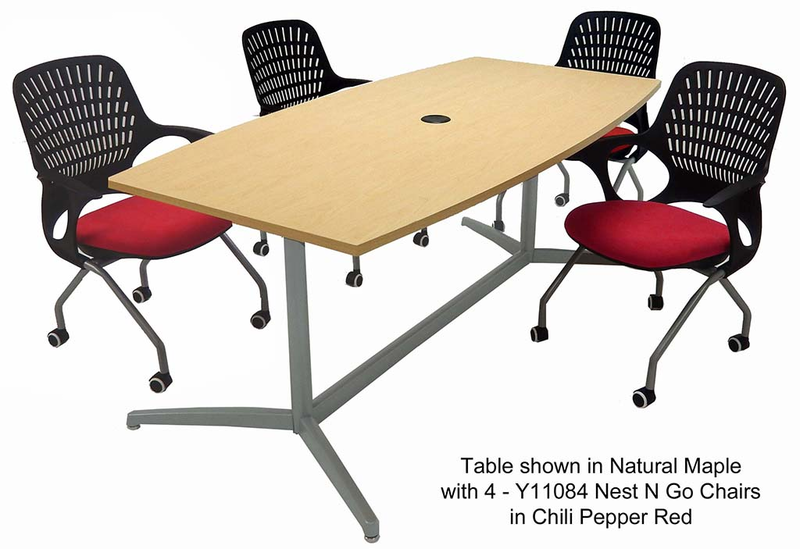 8' Modern Quickship Boat Shaped Conference Table carries that high end look without the high end lead-time! Unique silver base adds visual appeal to your conference room. Available in four, pleasing laminates. 1" thick table top with matching edge banding. 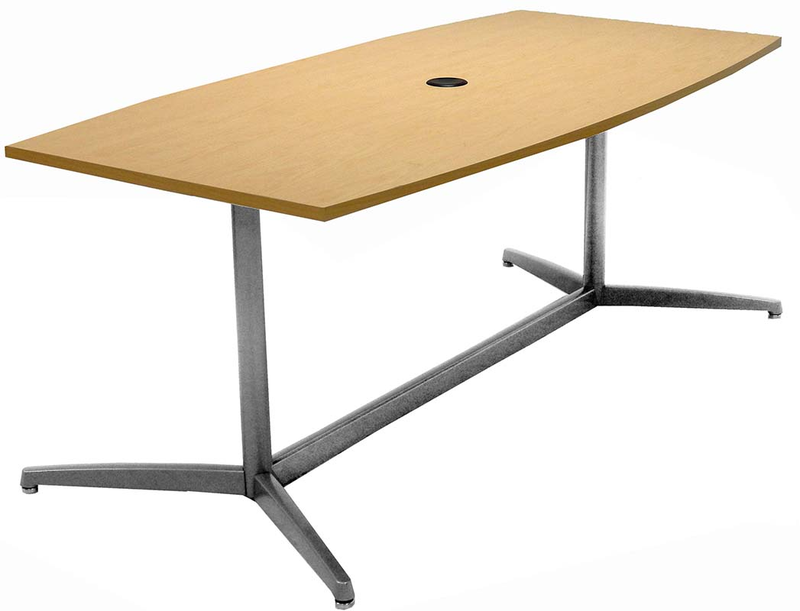 Two-piece table top includes two, 2" grommets for wire management. Seats 6 comfortably, but can seat up to 8 people maximum. Measures 95-1/4"L x 42"W x 29-5/8"H. Ships unassembled in four boxes. Total shipping weight 165 lbs. PRICE INCLUDES SHIPPING! Please allow 3-7 working days for delivery. 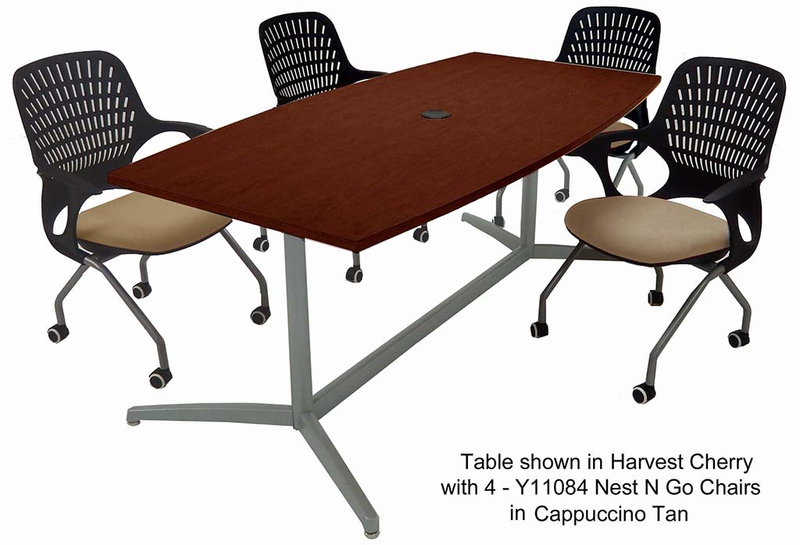 10' Quickship Boat Shaped Conference Table carries that high end look without the high end lead-time! Unique silver base adds visual appeal to your conference room. Available in four, pleasing laminates. 1" thick table top with matching edge banding. 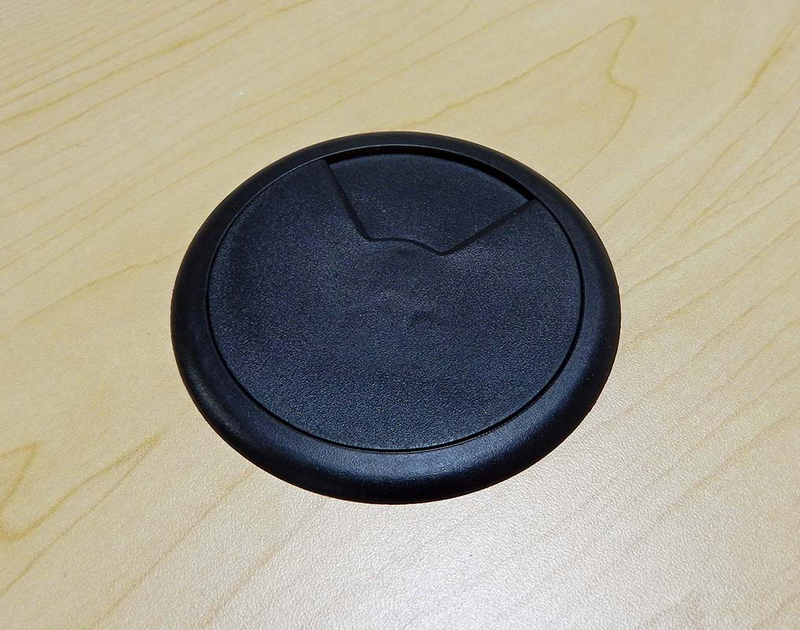 Two-piece table top includes two, 2" grommets for wire management. Seats 8 comfortably, but can seat up to 10 people maximum. Measures 119-1/4"L x 47-1/2"W x 29-5/8"H. Ships unassembled in four boxes. Total shipping weight 216 lbs. PRICE INCLUDES SHIPPING! (Truck shipment � see terms & conditions.) Please allow 5-10 working days for delivery. 36" Quickship Square Table with Silver X Base seats up to 4 people. 1" thick table top with matching edge banding. Silver X base allows for ample leg space. Choose from 4 laminate colors. Measures 35-3/4"W x 35-3/4"D x 29-1/2"H overall. Ships unassembled in two cartons. Shipping weight 61 lbs. PRICE INCLUDES SHIPPING! Please allow 3-7 working days for delivery. 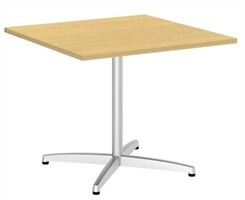 36" Quickship Square Table with Silver Pedestal Base seats up to 4 people. 1" thick table top with matching edge banding. 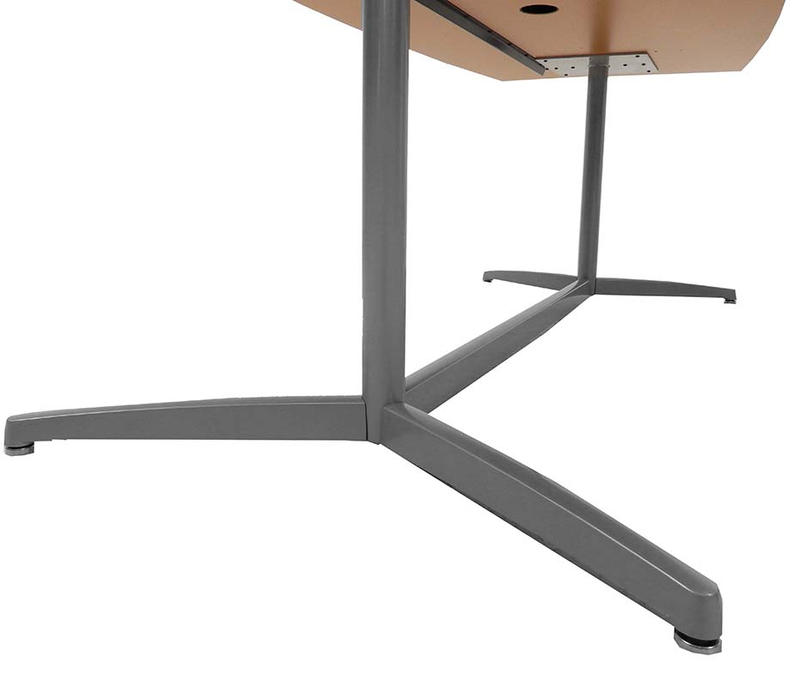 Silver pedestal base allows for ample leg space. Choose from 4 laminate colors. Measures 35-3/4"W x 35-3/4"D x 29-1/2"H overall. Ships unassembled in three cartons. Shipping weight 91 lbs. PRICE INCLUDES SHIPPING! Please allow 3-7 working days for delivery. 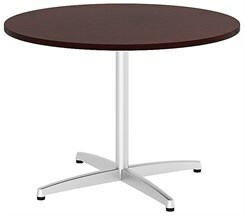 42" Quickship Round Table with Silver X Base seats up to 4 people. 1" thick table top with matching edge banding. 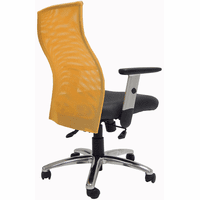 Silver X base allows for ample leg space. Choose from 4 laminate colors. Measures 41-3/8"R x 29-1/2"H overall. Ships unassembled in two cartons. Shipping weight 61 lbs. PRICE INCLUDES SHIPPING! Please allow 3-7 working days for delivery. 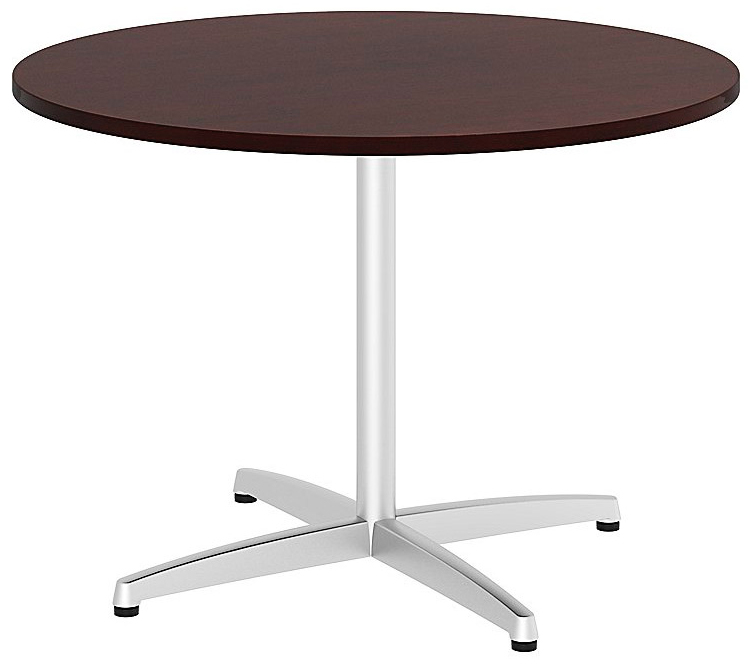 42" Quickship Round Table with Silver Pedestal Base seats up to 4 people. 1" thick table top with matching edge banding. 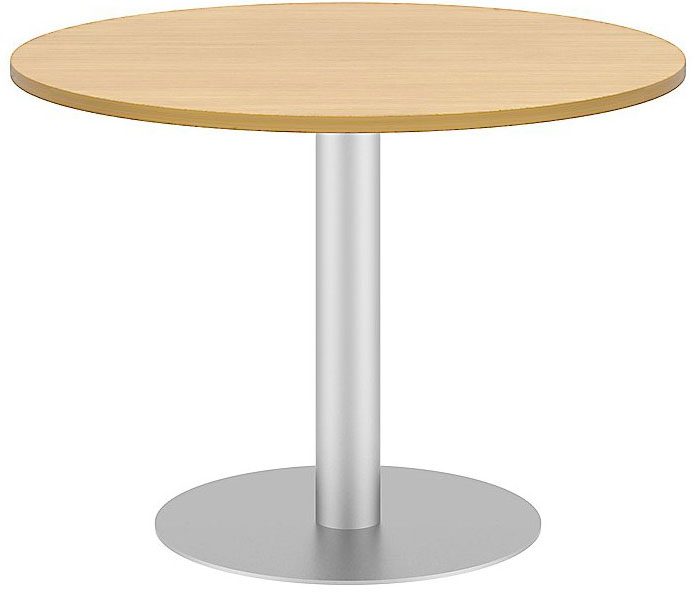 Silver pedestal base allows for ample leg space. Choose from 4 laminate colors. Measures 41-3/8"R x 29-1/2"H overall. Ships unassembled in three cartons. Shipping weight 91 lbs. PRICE INCLUDES SHIPPING! Please allow 3-7 working days for delivery.